I was in Phoenix for a few days. The day I checked into the hotel I sat on the sofa and had bites within two hours. Of course I did not feel the actual bites, my skin started itching and I scratched and saw a number of small bites. I informed the front desk at the hotel and requested to be moved to another room. I moved to the new room, but that did not improve the situation. Over the course of the three days I was there, I experienced additional bites. I reported this to the front desk. One of the workers told me they thought they had corrected the problem. A manager was called to speak to me and she denied there was ever a bed bug problem and told me the bites did not happen at the hotel. I am back home, my skin looks awful and I cannot wait for two weeks to pass and my skin is back to normal. I started experiencing major itching in a few consistent areas on my arm, leg and lower tummy but when I check the areas out all I see is a little redness that could've been caused by scratching. I'm not sure what is causing this but I have recently found out a friend has bedbugs in their home, and I have sat on their furniture. I don't know but I have never experienced itching like this without some kind of noticeable red bumps. My boyfriend is living in a motel, and I get bitten every time I go to visit him. He never seems to have any bites, but I think he is just not allergic like I am. Every morning when I am there, I awake with new bites that are red, swollen, and extremely itchy. I recently stayed for 4 nights, and by the time I left, I had over 50 bites. I tried taking Zyrtec during the day and Benadryl at night while I was there, but still had the allergic reaction. He has examined the mattress and has not been able to find any evidence of the bugs, but this has happened to me the last 3 times I visited him. I get no relief from the bites until I go back home. Normally, I have a few pop up on me after I get home for a few days, but then they all go away until I return to visit him again. So far I haven't seen any famous hotel guarantee the room is free of bed bugs. I always check and make sure the sheet is new and clean. I protect my mattress in hotels with bedbug covers that I pack in my box and take, and it helped me to prevent the infestation. I actually saw this insect, black tiny thing in my motel bed. I killed the bedbug with the hotel sheet, which had blood from the previous bite, and from killing it; very gross! During a recent stay at a hotel, my 5 month old son and I woke up to bite marks, welts on our body. I informed the management and they quickly came to our room, ransacked the sofa sleeper that we were sleeping on and threw out our sheets and pillows. They, of course, seem very apologetic and refunded our fees 100%. We both got treated for bed bugs and I filed a claim against the hotel. So I am living in a dormitory this year for school, and a few days ago I started noticing that I was really itchy in bed. I didn't think anything of it, but the next night the same thing happened. I did also notice bite marks on my body when I woke up the next morning. I actually have not seen the bugs, but the bite marks look the same as bedbug bites and I have been quite itchy. Also, I have a tingling sensation throughout my body and have random muscle spasms. Along with that, I have been having headaches along with nausea. It is just really frustrating and painful! I have been fiercely addressing the issue, however, by getting a new bedbug-proof mattress and bedbug encasing for the mattress. I also have thrown all the bedding away and the carpets in my room. I am a highly allergic person, so I react to bites strongly. 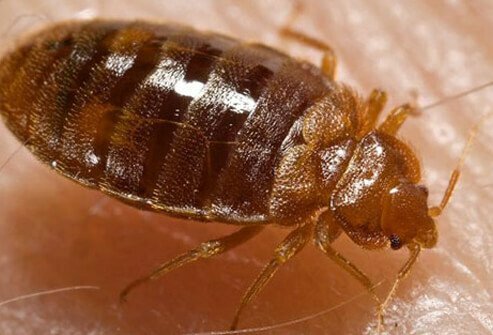 Some people might actually have bedbugs, but they show no signs of having them. It just depends on how sensitive you are to their bites. Bedbugs can climb through walls and transfer to people in many other ways, so it is important to take whatever precautions are necessary. You should not have to live with these things. I spent one night in a motel in Tennessee. It was a nice hotel, not a cheap one. Got up the next morning and found red itchy welts on my thigh. Didn't think anything of it until the following week when I stayed in the same hotel. More bites. I told them that I thought they had bedbugs. They were concerned and apologetic. Later that day the manager calls and told me they had thoroughly examined the room and found no evidence of bugs. he kind of intimated that I had brought them with me. Not true, I have no bedbugs in my home, did not stop anywhere else except relatives who do not have them. Where else could I have gotten them ? It made me mad. I won't stop there on my next trip to Ok. Now I'm worried that I have infested my home with these pests. I was forced into a homeless shelter for three months. Before I was rescued I was bitten by bed bugs. They itched terribly and I scratched. It became so bad I went to the doctor. They prescribed antibiotics and steroids as well as a highly effective topical creme. Do not delay, see a doctor right away! I nearly went insane from the itching and later the pain of being scratched raw!